Yesterday, just hours before the premiere of The Lovely Bones at the REP in Birmingham, I was introduced to Ana Inés Jabares-Pita. I was excited to meet this award-winning designer, who masterminded the genius set for The Lovely Bones. 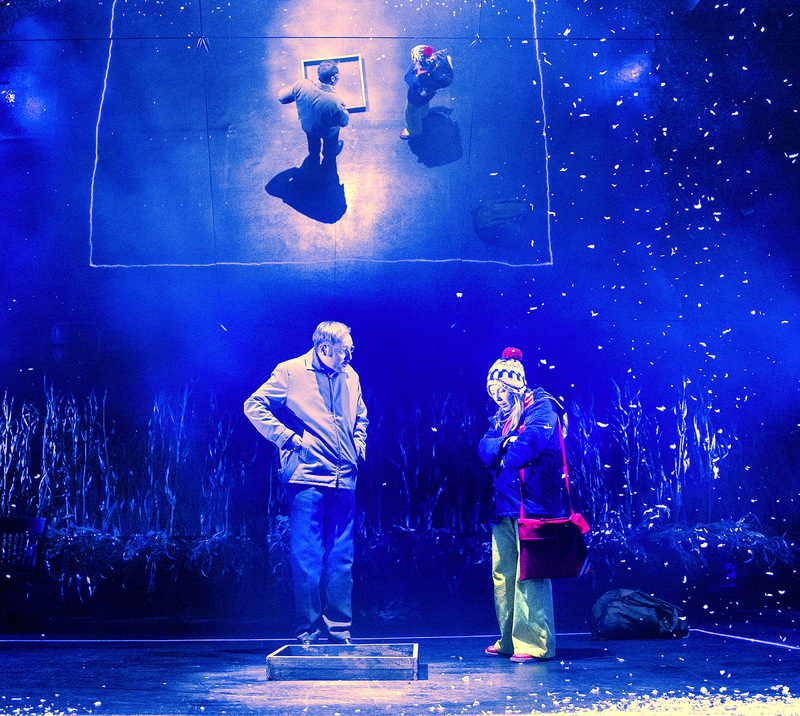 More on an art installation than a stage design, it revolves around a huge magic mirror. While it remains in place throughout the production, it also allows for shifting perspectives between time and place, heaven and earth. Ushered onto the stage, to the smell of damp earth, I realise that I am already in Ana’s mesmerising, multi-sensory world. I’m given 20 minutes to interview her before the show must go on. In case you haven’t read Alice Sebold’s novel (I recommend it), The Lovely Bones is a coming-of-age story with a twist. 14 year-old Susie Salmon is murdered by her neighbour in 1970s Pennsylvania. Following her death, Susie watches life on earth from the afterlife. Unable to bear the pain of her family and friends, who have unanswered questions, she sets about trying to help them work out who murdered her. 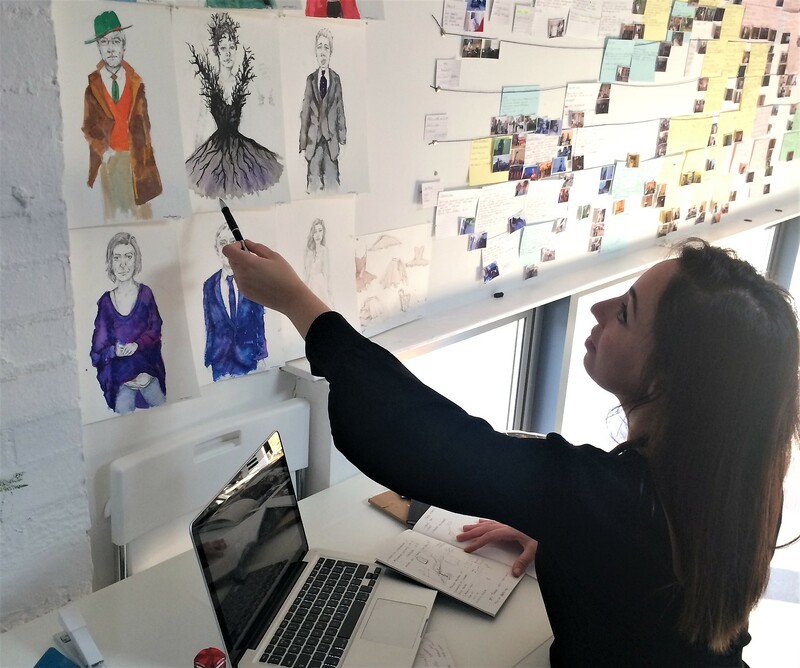 Ana Inés Jabares-Pita at work in the studio. First of all, I ask Ana how she responded to the invitation to work on The Lovely Bones. “I watched the film, read the book and script for the stage. I was struck by the detail in the story, the metaphors and I was aware that there was a lot to fit into 2 hours on the stage”. She began by finding images and objects related to the text. “Certain words and images popped out to me: earth, corn, the underground, entrapment. I have a notebook for each project where I’ll make sketches, find images, and take notes on music which I’ve listened to”. Entrapment was one of the main motifs which Ana wanted to convey with her set. “There’s a lot of entrapment in the text. The penguin in the snow globe is trapped, as are the figures in the dolls’ houses. Mr Harvey and even the younger brother creates structures, building an atmosphere of claustrophobia”. During the performance, Susie must remain in a drawn-out box in her afterlife. Much of the action takes place in this marked out section of the stage, with no set change and minimal props. It’s a clever, and unsettling, twist on playground games and magic circles chalked out for children. “One of the main challenges was to create heaven and earth at the same time. The story also has temporal jams, and changing, interrupted timelines. The Director, Melly Still, wanted a space where the cast could move easily. So, no big architectural pieces to allow scenes to flow and characters to move, almost like in a dance”. So, how did Ana go about overcoming these challenges? She designed a giant, tilting mirror to inverse perspectives and play tricks on the audience. Acting as a gauze, it allows objects to appear and disappear. It also creates the 3 levels of the story: the underground trap and hideout of Mr Harvey, the corn field, and Susie’s heaven. Ana tells me that she had previously worked with mirrors and reflective surfaces. And she isn’t the first to do so. Ana explains: “Since the 180os, ghosts and holograms have been created using mirrors. It’s a very old-fashioned technology!”. Known as Pepper’s Ghost, this illusion technique creates transparent ghostly images. This special effect has been used by theaters and haunted houses since John Pepper popularized it in the 1800s. It works by reflecting an image of the ghost off of a sheet of plexiglass. Throughout The Lovely Bones, the effects are incredible. It creates the “blurred lines between living and dead” which Alice Sebold writes about in the novel. The mirror also acts as a window, allowing the audience to watch events as they unfold, and see them reflected from above. “Melly and I started to create a world. We wanted to tell the story in a way that everyone would understand. We’ve made almost like a massive installation rather than a set design. And that’s going to help us create all sorts of magic images, appearing and disappearing, upside down, and creating floating images”. Beyond the mirror, Ana has also brought other senses to the stage. I ask her about the smell of the damp earth, which is overpowering, raw and emotive. “Smell is so powerful. I usually try to work with as many senses as possible, for example the smell of the earth and the sound of the corn. So, we used real earth – which is watered to keep the damp smell – and actual corn”. She also worked closely with the lighting designer (Matt Haskins), a composer and sound teams. The all-encompassing, transformative atmospheres which shift throughout the play, bring you into the tale. It is Ana’s incredible installation which allows the audience to see Susie’s story from different, and interconnected, perspectives. Invoking all of the senses, it creates an immersive experience. Nostalgia, sadness and hope were amongst the many emotions which surfaced as I watched this startling play about life after loss. 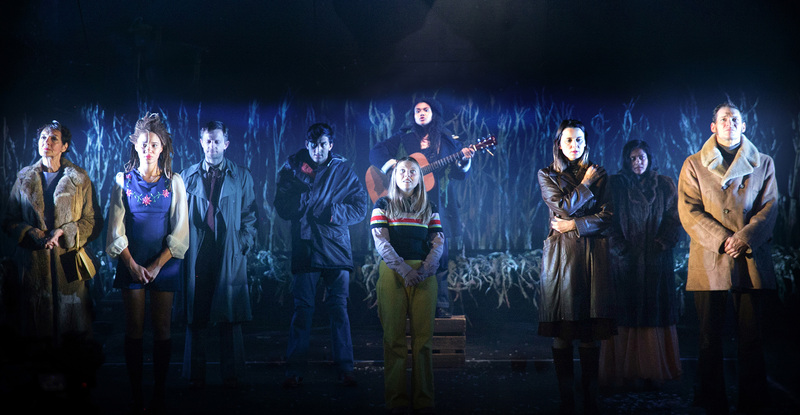 You can catch The Lovely Bones at Birmingham REP until 10th November, 2018. What can I do with my Fine Arts degree?